The Fiat 8V coupé was the result of Fiat's plan to conquer market shares in the luxury car segment. Of course, an awe-inspiring engine, like an eight-cylinder, was needed to achieve this objective. Technical director Dante Giacosa, who would be on the Fiat 500 designer team a few years later, picked a brand-new engine with four cylinders arranged at a 70 degree angle on a shared crankcase: the V-eight was ready. 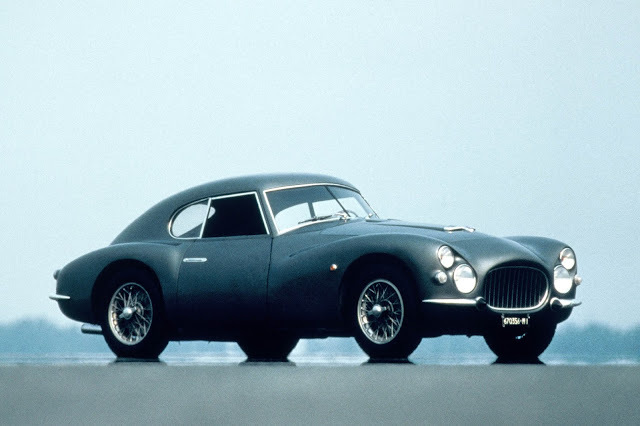 The coupe was perfect for the two litre category which was a popular racing choice in Italy at the beginning of the 1950s and according to Vittorio Valletta would appeal to the North American public. The Fiat 8V introduced in 1952 was the first Fiat with independent suspension. Special bodies, which are perfect interpretations of the "Fiat-8V" theme, were made by the famous coachbuilders Zagato, Vignale, Siata and Ghia, in addition to the models crafted at the plant and designed by interior stylist Fabio Luigi Rapi. Unfortunately, only little over 100 high-performance coupes were produced before the production ended in 1954.